Quality and Innovation – We pride ourselves in the quality and innovation we put into our homes. From foundation to finish, we make sure your home is built to the highest quality standards and use the most current techniques and innovative products. Building On-Your-Lot or in Our Communities – Whether you’ve fallen in love with a lot somewhere in the Twin Cities metro area, or you’ve fallen in love with our Spirit of Brandtjen Farm community, we can design and build your dream home to maximize your property’s potential. Although our communities are among the best in the Twin Cities market, our On-Your-Lot knowledge and expertise provide you comfort in allowing room for us to build wherever you want. TRUE Design-Build Custom Homes – Although we have many pre-designed home plans to help customers with a starting point, we specialize in designing and building custom homes from the ground up. Many of our customers come with us with a blank piece of paper, and from there we work together to create a unique home design that meets their specific needs and budget. To help with your selection process, we have a professional Designer on staff to guide you through every step. From paint colors to flooring coverings, and everything in between, our Designer helps the process move smoothly. 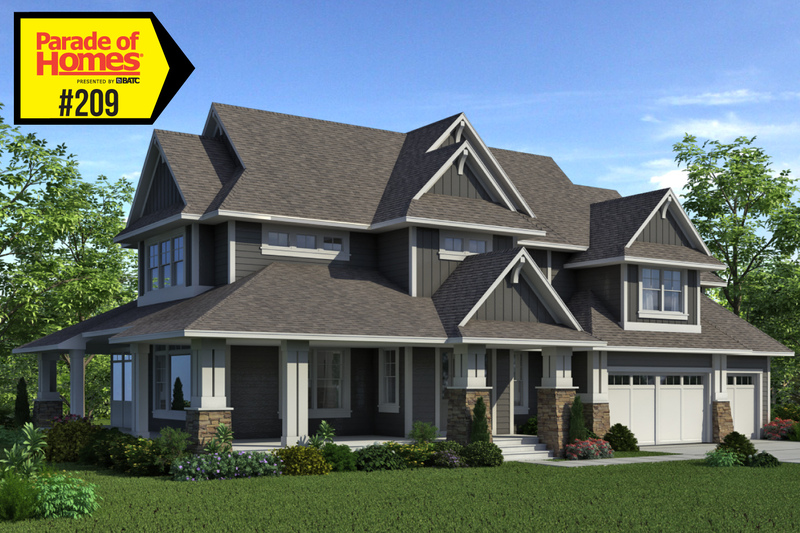 Standing Out in South Metro – Looking to build in the Twin Cities south metro area? Homes by Tradition is the premier builder designing and building homes in the $550K to $1M plus price point. We have established a reputation as the builder to seek out for a rewarding custom home building experience. Meet the Builder Opportunities – Come enter to win a $500 Delta Gift Card on March 8th and 22nd at our Parade of Homes model in our Lakeville Spirit of Brandtjen Farm community! You get an opportunity to work directly with the President of Home by Tradition, Dean Nelson, and pick his brain about design and the process of building a home with us. You can also increase your chances of winning ANOTHER $500 Delta Gift Card by stopping by the Community Center to enter for weekly gift cards. If you still aren’t convinced, call 952.322.8700 or email info@homesbytradition.com and we’ll be sure to fill you in on more details!